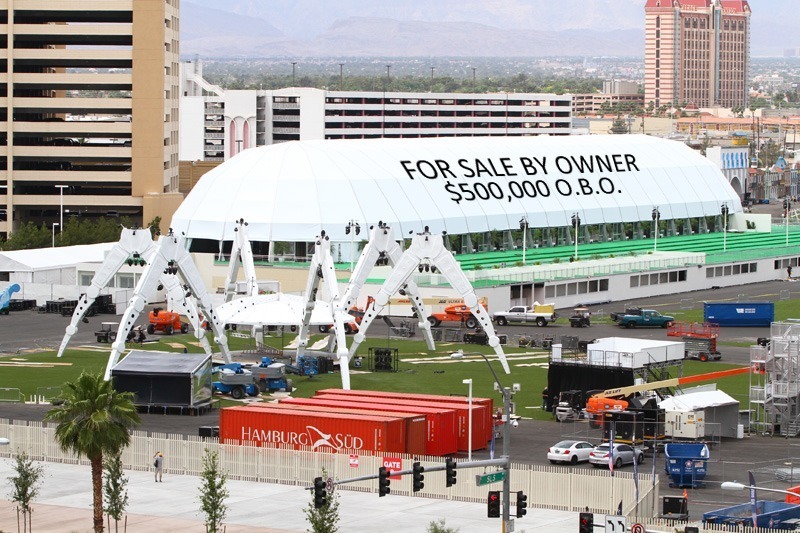 We knew it was bad, but even we had no idea Rock in Rio USA would end up taking a financial hit like this. Number continue to come in, but reports are Rock in Rio USA’s loss for its first foray into Las Vegas (and the U.S. market) was a jaw-dropper: $28 million in the hole and counting. That’s a sizable loss, especially for a festival hyped as the potential financial savior of the north end of the Las Vegas Strip. MGM Resorts, too, had a lot on the line with Rock in Rio USA, ponying up half the cost of infrastructure at the music festival’s City of Rock site, to the tune of $20 million. (Rock in Rio USA contributed an additional $20 million.) Note: We previously reported the investment in the site was $75 million, as cited in other reports, but an MGM Resort rep reached out to clear up that error. The company does not acknowledge additional “losses” beyond its $20 investment in the site. Much of Rock in Rio USA’s “City of Rock” was shipped in from Brazil. That just sounds expensive. Dramatically downsized ticket sales estimates were among the first signals Rock in Rio USA wasn’t going to deliver the goods either for the festival or MGM Resorts. Originally, organizers projected a rosy 80,000 festival-goers a day over the four-day festival (May 8-9 and 15-16, 2015), or a potential 320,000 attendees. Ultimately, organizers claim 130,000 tickets were sold, or about 60% fewer than estimated. Some question whether even that number is inflated. Even a $50 million domestic and international marketing blitz couldn’t bridge a revenue gap created by a disappointing band line-up and a brand that, while popular in Brazil and Portugal, had no name recognition in America. Reviews of the Rock in Rio USA music festival were generally positive, but the result of the substantial financial hits taken by MGM Grand and Rock in Rio USA is likely to be that the festival won’t return to Las Vegas for another installment, despite claims it would be back in 2017 with an expanded, six-day schedule. Both MGM Resorts and Rock in Rio are adamant the festival will return, however. Word has it unfulfilled expectations and unexpected cultural differences, exacerbated by the language barrier, have burned bridges unlikely to be rebuilt. Don’t assume something’s not true just because it’s Photoshopped. No official statements about the financial losses, or the state of the relationship between Rock in Rio and MGM Resorts, have been issued publicly to-date. MGM Resorts is a public company, so their financials are available for review (the next report happens in August, 2015). There has been a lot of make-nice spin, with generous amounts of behind-the-scenes in-fighting and drama worthy of a telenovela. 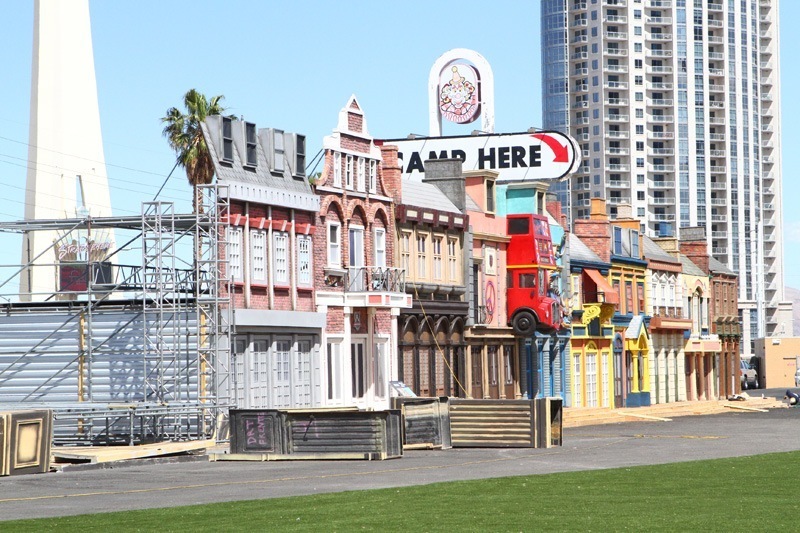 MGM Resorts hopes to recoup its investment in the 40-acre site at the corner of Sahara Ave. and Las Vegas Blvd. with other events, but that’s far from certain given the lackluster return on the company’s investment with Rock in Rio USA. It’s much more fun to report on Las Vegas successes, but from everything we’ve heard, Rock in Rio USA fell short in a big, expensive way–a reminder there are no sure things in Las Vegas, musical or otherwise. This entry was posted in Las Vegas, Things to Do in Las Vegas on June 12, 2015 by Scott Roeben. Wow. Interesting. Are there any sources for these numbers? Those numbers sound inflated so I’m not buying them until more details are provided.. They announced a country music weekend next April. That’s all I’ve heard. I thought it would lose money but not that much. The whole promotion was done wrong starting by paring the opening weekend with Metallica and No Doubt. When I saw that lineup announced I had No Doubt this was going to be a bust. ticket prices were to high for a mediocre line up. Factor in the high cost of airfare and hotel. it wasn’t worth the money . The bean counters are trying to drain every last dollar they can from us. And this what happens when your greed catches up with you. I for see them having similar issues with the arena they are building behind Monte Carlo. Even if they get a NHL franchise I don’t see it being a huge money maker. Not sure MGM or the promoters can do much about the cost of airfare! A DJ and some bottle service will help recoup the costs! These people must be thinking they are the Ultra Music Festival in Miami, which can draw 80k people a day. It took years to build to those attendance levels and they have multiple stages on 32 acres of land. 40k people? Yeah, I can see that happening if the pit bosses give out free tickets to those gambling. Otherwise no, not getting 80k people a day just by throwing together a venue with a lackluster lineup.